Approximately eight percent of our DNA contains retroviral sequences that are millions of years old. Through engaging stories of scientific discovery, Anna Marie Skalka explains our evolving knowledge of these ancient denizens of the biosphere and how this understanding has significantly advanced research in genetic engineering, gene delivery systems, and precision medicine. Discovering Retroviruses begins with the pioneer scientists who first encountered these RNA-containing viruses and solved the mystery of their reproduction. Like other viruses, retroviruses invade the cells of a host organism to reproduce. What makes them "retro" is a unique process of genetic information transfer. Instead of transcribing DNA into RNA as all living cells do, they transcribe their RNA into DNA. This viral DNA is then spliced into the host's genome, where the cell's synthetic machinery is co-opted to make new virus particles. The 100,000 pieces of retroviral DNA in the human genome are remnants from multiple invasions of our ancestors' "germline" cells--the cells that allow a host organism to reproduce. Most of these bits of retroviral DNA are degenerated fossils, but some have been exploited during evolution, with profound effects on our physiology. 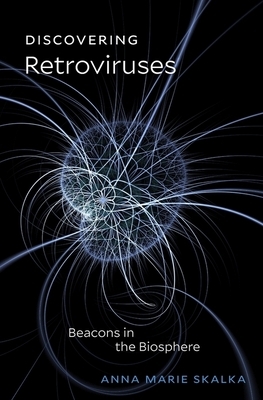 Some present-day circulating retroviruses cause cancers in humans and other animals. Others, like HIV, cause severe immunodeficiencies. But retroviruses also hold clues to innovative approaches that can prevent and treat these diseases. In laboratories around the world, retroviruses continue to shed light on future possibilities that are anything but "retro."